Black and white is such a classic combination. It can never go wrong, whether its photography, movies or creativity. It just creates magic. So here I am with my creation with this beautiful Combo. I took a spiral bound note book. Adhered a black cardstock as the base. Edged with Black fabric lace and White MS double scallop Punch. 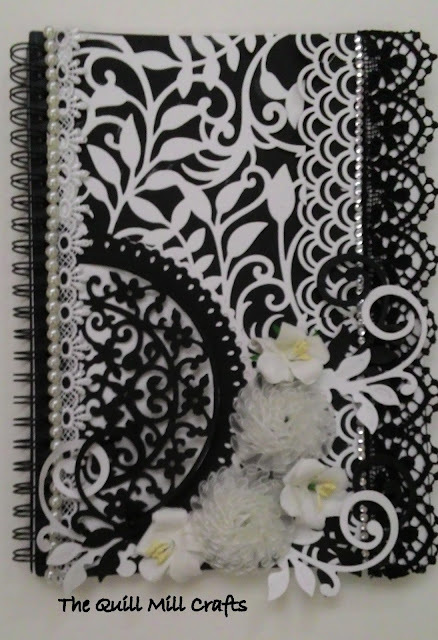 and black and white Joy craft Flourish. 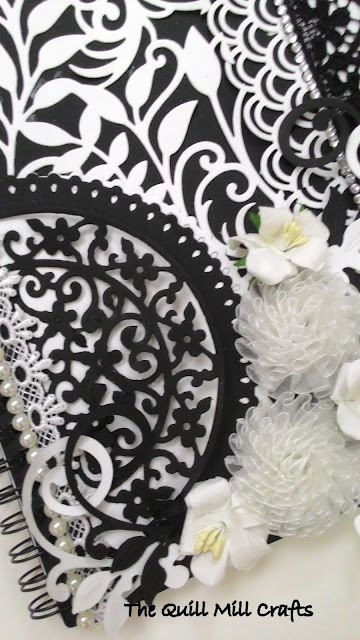 Wow, what a fabulous project, your black and white design is awesome. Thank you for sharing your work with all of us at Crafty Boots Challenges. Gorgeous alteration, so stylish. Thanks for joining in at Crafty Boots Challenges this time.